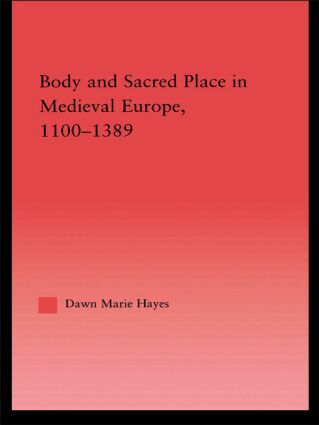 Body and Sacred Place in Medieval Europe investigates the medieval understanding of sacred place, arguing for the centrality of bodies and bodily metaphors to the establishment, function, use, and power of medieval churches. Questioning the traditional division of sacred and profane jurisdictions, this book identifies the need to consider non-devotional uses of churches in the Middle Ages. Dawn Marie Hayes examines idealized visions of medieval sacred places in contrast with the mundane and profane uses of these buildings. She argues that by the later Middle Ages-as loyalties were torn by emerging political, economic, and social groups-the Church suffered a loss of security that was reflected in the uses of sacred spaces, which became more restricted as identities shifted and Europeans ordered the ambiguity of the medieval world.